The ‘Celebration of Male Voices’ in Ely Cathedral on Saturday was a wonderful way to mark the 50th anniversary of Huntingdon Male Voice Choir. This fine choir, directed by Peter Davies, was joined by a number of other choirs and their respective conductors and accompanists: St. Stythians (Ken Downing), Basingstoke (Peter Allen and Paul Wright), St. Edmundsbury (Mark Jefferson), Northampton (Stephen Bell and Andy Poole), Alcester (Judith land) and Brighton (Iris Warren and Liz Tunmer).The overall sound this mass of male voices produced was delightful. 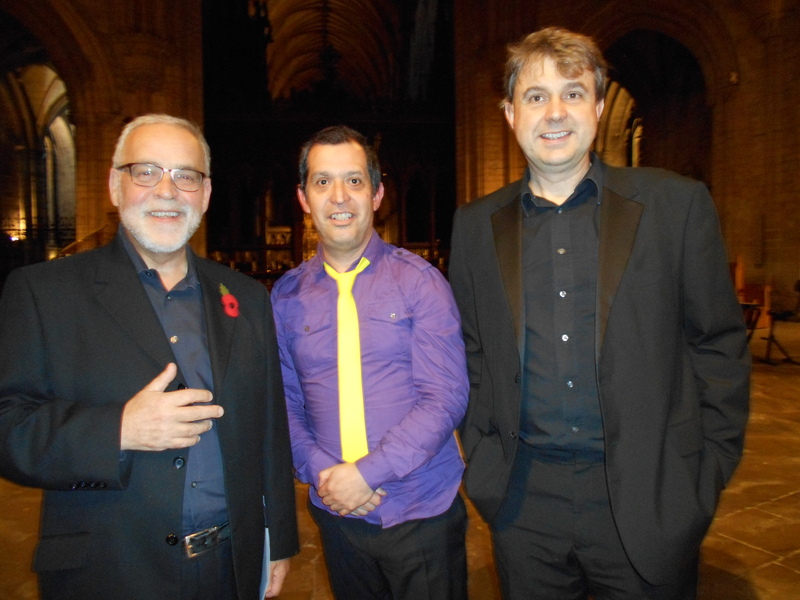 Local highly regarded musicians, Prime Brass, Kate Woolf (soprano) accompanist Paul Bryan and Cathedral Assistant organist Jonathan Lilley also added style to this wonderful evening. Most noticeable was the spine-chilling beauty of these 290 singers when they held their musical line in one long sustained soft sound. This was particularly apparent in the wonderful arrangement of the ‘National Anthem’ by Edmund Walters, ‘Lily of the Valley’ arranged by E. Jones and ‘Be still for the presence of the Lord’ by David J. Evans, arranged by Peter Davies. Prime Brass is already established as one of the finest ensembles to play in Ely Cathedral. They presented some amazing items including Britten’s ‘Fanfare for St. Edmundsbury’, ‘The Arrival of the Queen of Sheba’ by Handel arranged by P. Archibald and Chris Hazell’s ‘Three Brass Cats’. This superb group’s phenomenal technique and tonal quality brought to life these pieces, demonstrating amazing skill and alacrity while also expressing exquisitely the litheness and quirky characteristics of the three cats. Kate Woolf sang delightfully, her lovely soprano voice giving colour, emotion and cohesion to her songs: Three Spirituals arranged and accompanied by Paul Bryan, ‘I feel so Pretty’ and ‘A Simple Song’ (from the Mass) by Bernstein. One of the most impressive items was Jonathan Lilley’s grand performance of William Walton’s ‘Crown Imperial’, a most appropriate contribution to the event. The joint choirs culminated the concert with glorious sounds when giving full voice to ‘Old Hundredth’ (W.Kethe, arranged by Ralph Vaughan Williams) and ‘Festival piece on Sine Nomine’ by R. Vaughan Williams and W.M. Howe arranged by Dwight Elrich. This was undoubtedly a highly successful celebratory event that also supported Help for Heroes.